Join Larry Osborne, North Coast Church Lead Pastor, as he covers two of the most important (yet least understood aspects of ministry leadership): Budgeting and Staffing. You’ll discover why a balanced budget is a fool’s budget and how to make sure you have the right people in the right seats at the right time. NOTE: This workshop is designed specifically for Senior and Executive Pastors. If this isn’t you, please pass this on to the appropriate person at your church. In order to maximize your interaction, this workshop is limited to 25 pastors. 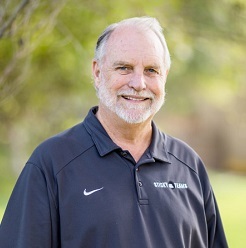 Senior Pastor, North Coast Church Larry Osborne has served as a Senior Pastor at North Coast Church in Vista, California since 1980. The church has grown from 128 to over 12,000 in weekend attendance over 5 campuses, and has been honored as one of the ten most influential churches in America for its pioneering efforts in the multi-site movement, sermon-based small groups, and its creative approach to shared leadership. Larry’s books include Thriving in Babylon, Accidental Pharisees, Sticky Leaders, Sticky Teams, Sticky Church, Ten Dumb Things Smart Christians Believe, Contrarian’s Guide to Knowing God, Mission Creep, and The Unity Factor. The Sheraton Carlsbad – Located approximately 20 minutes from North Coast, The Sheraton Carlsbad offers easy access to shopping, dining, the ocean, and the freeway. For reservations with our exclusive rate, call 760-827-2400, or email [email protected]. The Grand Pacific Palisades – Located approximately 20 minutes from North Coast, The Grand Pacific Palisades Resort offers guest rooms and 1 or 2 bedroom condos. Amenities include easy access to dining, the freeway, and ocean views throughout. For reservations, call 1-800-725-4723, or email [email protected]. For all questions, contact [email protected] or 760-724-6700.